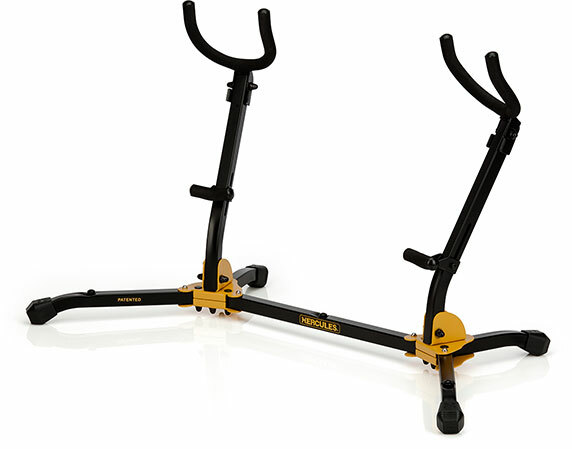 The HERCULES TravLite Tenor Saxophone Stand DS432B folds easily and compactly and stores inside the bell of the instrument; velvet pads protect the instrument. 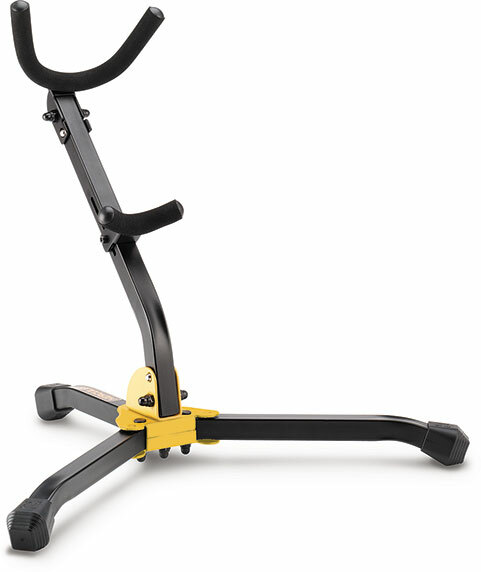 The HERCULES Saxophone Stand DS530BB has a folding yoke, an adjustable backrest, and locking pins that are secure and stable for use with Tenor or Alto Saxophones. The HERCULES Soprano Saxophone Stand DS531BB velvet peg and swivel legs provide a stable and secure stand for soprano saxophones. 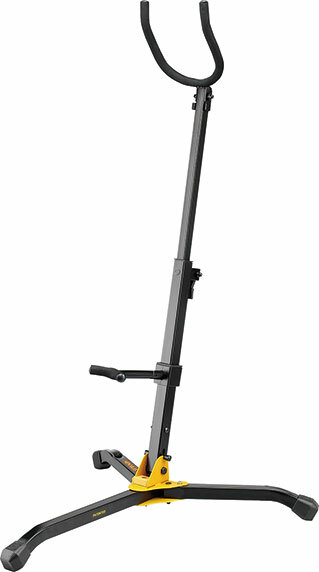 The HERCULES Baritone Saxophone Stand DS535B features the folding yoke, the lever height adjustment, the adjustable backrest, and swivel legs. 1 Extra Peg Hole for additional instrument peg; accommodates trumpet, cornet, soprano sax, flugelhorn, clarinet, piccolo and flute pegs. 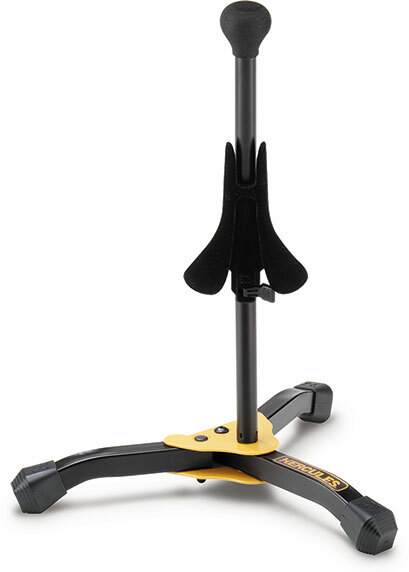 The HERCULES Double Saxophone Stand DS537B features the one-piece folding design with locking pins and can support up to 44 pounds total instrument weight. 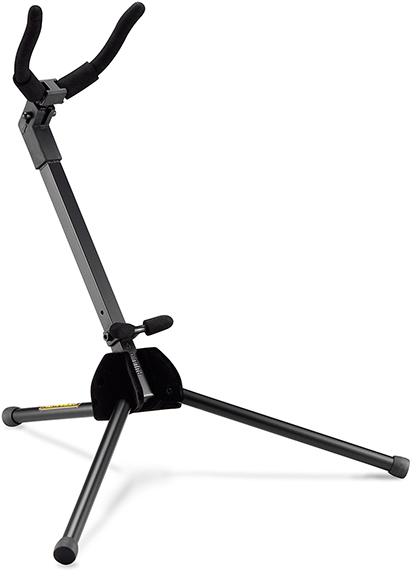 The HERCULES Saxophone Stand DS630BB features the Auto Grip System (AGS) yoke, the adjustable backrest with locking pins on the legs. Two extra peg holes on the legs allow for adding up to 2 more instruments to this stand. All-in-One-Design is easy to pack and carry. 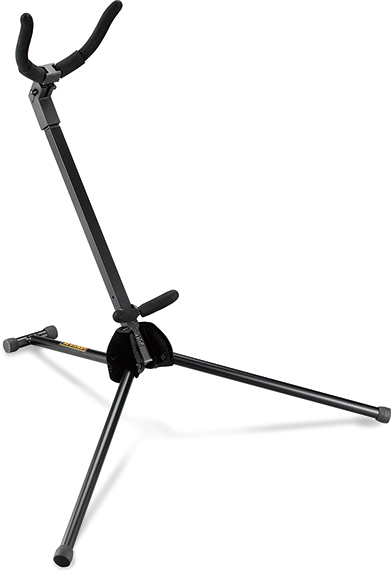 The HERCULES Extended Height Saxophone Stand DS730B is designed for both standing and sitting performance. 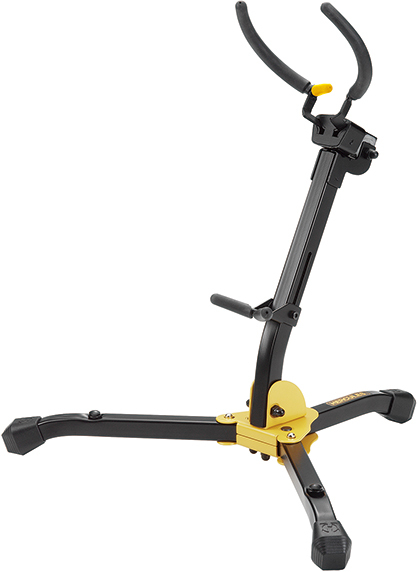 It features the Auto Grip System (AGS) yoke and the same backrest as the DS630BB. Accommodates instrument at heights from 90 cm - 130 cm, 35.4" - 51.2".